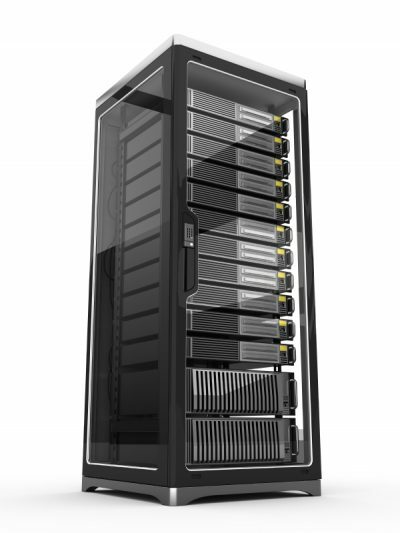 Server Consolidation - Houston, Baytown, Conroe | Safebit Solutions Inc.
Server Consolidation is a popular way to make more efficient use of hardware and resources. It’s a way for IT to save their budget, especially considering that so few servers are used to their full capacity. Server consolidation is a way to make a more efficient IT environment by combining servers or replacing legacy servers with virtual systems, the cloud or SaaS products. Why consolidate and what’s the real Benefit? Server consolidation is exactly what it sounds like, it’s essentially consolidating hardware for more effective usage. To state the obvious, it simply means reducing extra expenses. An effective method of consolidating your servers are through server virtualization which is done by running multiple virtualized servers on a single physical server. This is done mainly to keep the servers running more efficiently without occurring idle period like other normal servers. Web servers may run without utilizing many resources and a file server can give a good performance during the office hours but at night it remain non-active but most of all, the backup server which runs only at night consumes most of the resources. This way there are fewer chances of inflow of dormant resources. Another way of consolidating server is through the Cloud and Saas (software-as-a-service). These tools enable the storage and processing power to be moved off the grid. Regardless of file back-up usage in Cloud, the processing power is automatically is managed off the network paving way for the resources to be utilized for other important tasks which can be done over different dedicated or virtualized server. This, in turn, leads to saving up of operational and electricity cost. With new innovations and technology, consolidating a server is also getting quite advanced and complex at the same time. Nonetheless, it can be used efficiently for storage and processing power. Speaking of complexity, there are some bumps like struggling of connectivity to multiple servers to a one storage resource. Most users or companies use SDS (software-defined storage) for file management such as SmartFile to compensate and overcome the server consolidation difficulties and helps in handling storage connections. Smart tool decreases the complexity making it easier and along it comes other features as well, like file sharing, user access, data monitoring, etc. Server consolidation despite some of its shortcomings is the answer for efficient server utility. It can be done on its own or the with server virtualization for an even better use. Either way with or without the aids and support, it is definitely a money saver and wiser to have it set up and installed. Contact Us for more information on Server Consolidation today!